According to press reports, Benedict Cumberbatch will perform as HAMLET in the West End, but not until 2015. The Shakespearean drama will run at the Barbican Theatre, beginning in August 2015 and will be produced by Sonia Friedman and directed by Lyndsey Turner. 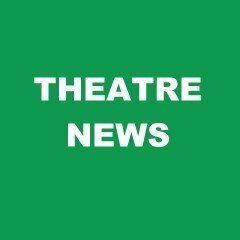 Visit our news section for the latest London Theatre News. Cumberbatch’s recent film credits include The Fifth Estate, 12 Years a Slave, and August: Osage County with Meryl Streep and Julia Roberts. His forthcoming projects include The Imitation Game, The Hobbit: There and Back Again, Magik, The Penguins of Madagascar, Everest, The Lost City of Z and Flying Horse. Benedict Cumberbatch is popular for his portrayal of Sherlock Holmes in the UK series Sherlock, alongside Martin Freeman as Doctor Watson. Other recent film credits include J.J. Abrams’ Stark Trek Into Darkness. It was hoped that Cumberbatch’s Hamlet would run this year, but due to the lack of suitable venues, and to busy work schedules, we will have to wait. The show will be a central piece in the Barbican’s 2015 season. I will be in London at this time. I am travelling from Vancouver, Canada and I would love to know when tickets are on sale for this production. This is great news for my goal to get to see him, along with my daughter, who graduates next year from High School! This is the perfect graduation gift, so I think this was meant to happen….just for me!! 😉 Yeah!! !